This is a sample of 2-color offset printing. You’ve worked hard to build your corporate identity and now it’s time to display your brand on your marketing materials. 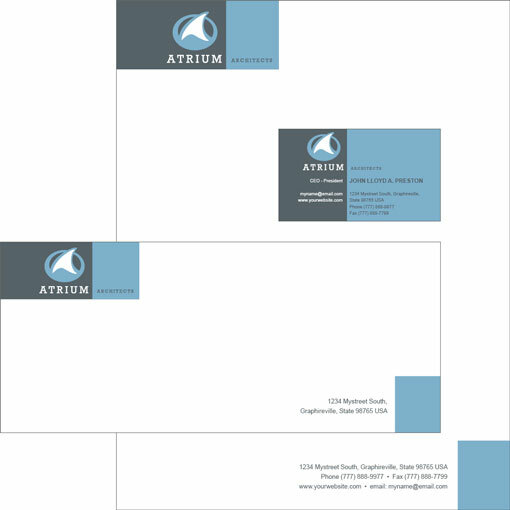 Your company’s letterhead and business cards represent you. How do you want to communicate your company’s style and attitude? With a wide range of papers, inks and printing methods, Watson Printing can help you create the perfect corporate stationery. Your business cards should match your stationery. Choosing the right paper is up to you. Most corporate collateral is printed on watermarked bond paper, typically from Strathmore. This cotton-based paper absorbs ink for results that are elegant and understated. Matching envelopes and business cards printed in a Pantone color will guarantee color consistency throughout the run of each piece and — when bundled into one consecutive run — will save you time and money. You’ll recognize thermographic printing by running a finger over the letters of a business card or a sheet of letterhead. If you can feel the letters, that’s thermography, as opposed to typical flat print. Thermography can be an inexpensive way to create text-based letterhead and business card designs that stand out — literally. For more information, visit our thermography page or give us a call at 781-237-1336. This can often be an expensive endeavor, but Watson Printing offers solutions to accommodate 4-color logos and other printed materials. We can create beautiful 4-color business cards printed on super-heavy 14-point coated card stock at a remarkably reasonable price, along with letterhead and envelopes printed on smooth, bright paper that brings out the colors of your logo. In addition, our Xerox digital color press can produce amazing 4-color brochures to match your stationery and business cards. Need a short run of only 50-100 business cards? We can handle that for you in-house with a speedy turnaround. Call us at 781-237-1336 to request a quote or to place an order. © 2012 Watson Printing Company, Inc. All rights reserved.